It has only been a few weeks since the forced vaccination lobby rammed a bill (SB 277) through the California legislature eliminating the personal belief vaccine exemption so children will have to get dozens of doses of federally recommended vaccines or be denied a school education.1 While California was being subjected to one of the most aggressive and expensive state lobbying campaigns2 ever mounted by the pharmaceutical industry in partnership with medical trade associations funded by industry and government3 4 5 6 that same lobby was pulling an even bigger fast one on the American people in Washington, D.C.
Second, the new law would allow researchers to conduct “clinical testing” of experimental pharmaceutical products on people without first obtaining their informed consent71 72 73 if “the proposed clinical testing poses no more then minimal risk.”74 75 It is not clear who decides what constitutes “minimal risk,” but presumably that will be left up to industry and government officials. It is also not clear whether minor children can be enrolled in experiments without the informed consent of their parents. The key phrase to focus on is “based on experience or best guesses before experimentation or data collection.” While we know federal agencies have been guessing for a long time when it comes to pronouncing vaccines safe and effective due to long standing gaps in vaccine safety science,82 83 84 85 86 it is irresponsible for Congress to bow to Big Pharma and codify into law the legal right for FDA officials to use flimsy “best guess” statistical methods and unreliable surrogate endpoints to support claims that a new vaccine is safe and really works, instead of requiring vaccine manufacturers to conduct in-depth biological mechanism research and large, well-designed clinical trials. Moving numbers around in a computer is a poor substitute for actually proving an experimental vaccine does not kill and injure real human beings before it is licensed. 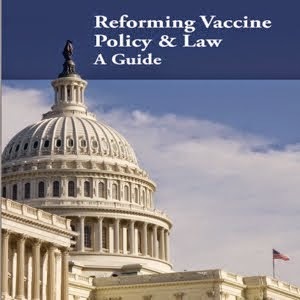 In 1986, Congress allowed itself to be blackmailed by the pharmaceutical industry and removed most civil product liability from vaccine manufacturers87 and, in 2011, the U.S. Supreme Court declared vaccines to be “unavoidably unsafe” and completely removed all product liability from FDA licensed vaccines88 89 90 In America, nobody can sue drug companies when FDA licensed vaccines injure and kill people. Not satisfied with a total product liability shield and with access to billions of dollars in American taxpayer money to build new vaccine plants91 92 93 and create hundreds of new vaccines,94 95 96 while getting government-paid free advertising97 and enjoying a predictable market from “no exceptions” vaccine mandates, the pharmaceutical industry is now insisting that Congress give them a free pass on the science, too. The financial public private partnership that Congress has directed government to forge with industry through a series of federal laws created over the past 30 years,98 99 100 101 102 103 104 105 106 is a drug company stockholder’s dream and a consumer’s worst nightmare. That lucrative partnership, which is using the “greater good” club to violate the human and civil rights of the American people in the name of a highly politicized “War on Disease,” has the potential to destroy more lives than any war our nation has ever fought. The 21st Century Cures Act is a prescription for disaster. Vaccine research, development and fast tracking should not be a part of it. If you want to make your U.S. Senator and Representative aware of what you think of the 21st Century Cures Act, become a user of the free online NVIC Advocacy Portal. The Portal can put you in immediate electronic contact with the people you elected to represent you in Washington, D.C. so you can politely, of course, give them a piece of your mind. Stand up for your right to know and freedom to choose. From flash to bang, it took the politically powerful corporate, medical trade and government lobbyists just six months this year to gut the human right to informed consent to medical risk taking and the civil right to a school education in California. They did it by enacting a new law (SB 277) signed by Governor Jerry Brown on June 29, 2015 that denies parents the legal right to file a personal belief exemption to vaccination for religious and conscientious beliefs so their children can attend school. Click the image on the right to read NVIC’s July 1, 2015 press release and make a comment below. Consistently throughout the legislative process, the numbers of California citizens testifying in opposition to the oppressive bill vastly numbered those testifying in support. The ramming of SB 277 through the California legislature despite strong public opposition was an impressive demonstration of the brute power that can be wielded by the public-private partnership between government and industry dominating the U.S. health care system in the 21st century. Disinformation about the measles outbreak at Disneyland and vaccine safety and effectiveness was used by mainstream media outlets to forward the forced vaccination agenda in the legislature in an attempt to neutralize the growing number of citizens standing up and defending their human and civil rights in our nation’s largest state. Even though thousands of men, women and children from all walks of life came again and again to Sacramento this year to attend public rallies and testify against SB 277 in Senate and Assembly committee hearings, the Senate voted 25 to 10 and the Assembly voted 46 to 30 to approve the legislation after contentious floor debates. Get Vaccinated, Homeschool or Go To Jail? California now becomes one of only three states, along with West Virginia and Mississippi, that denies children entry to daycare and school unless they get dozens of doses of federally recommended vaccines or a medical doctor grants a medical vaccine exemption, an exemption that doctors deny to 99.99 percent of children under narrow federal guidelines. Parents who do not comply with the new law will have to homeschool their children and, if they cannot homeschool for financial or other reasons, they may be subject to truancy laws that include fines and imprisonment for failing to provide their children with an education. In truth, the road to medical tyranny in California began in 2012. That was the year that the same pediatrician-turned politician and medical trade groups lobbied the legislature to pass AB 2109, a bill to force parents to get a signature from a medical doctor or state designated medical worker affirming the parent had been “educated” about vaccination before filing a personal belief vaccine exemption. NVIC opposed that bill because we knew it was an incremental step toward ramming a forced vaccination law like SB 277 through the legislature down the line, which is exactly what was done. In Texas alone, more than 20 vaccine-related bills were defeated because families across the state stood up and successfully defended their informed consent and civil rights. 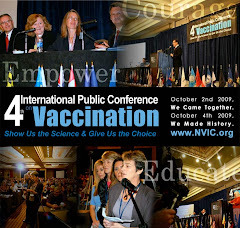 Although California has lost, temporarily at least, the personal belief vaccine exemption and Vermont lost the philosophical belief exemption (while retaining one for religious beliefs), citizens fought for their informed consent rights by educating their legislators and blocked bills in Washington, Oregon, Maryland, North Carolina, Pennsylvania, Maine and other states. What happened in California in 2015 is America’s final wake-up call. Forced vaccination bills like SB 277 that seek to eliminate all non-medical exemptions are eventually going to be introduced in every state and they will not be limited to school aged children. Adults will be targeted, too, as government health officials, industry and medical trade groups advocate for more societal sanctions that include loss of medical care and employment to be applied to those declining to get every federally recommended vaccine. What is at stake? If the state can tag, track down and force us against our will to be injected with biologicals of known and unknown toxicity today, there will be no limit on which individual freedoms the state can take away in the name of the greater good tomorrow. Read and post stories of vaccine risk, failure and harassment and access well-referenced information on vaccines and infectious diseases on NVIC's website.